In the thick of reporting the extravagant details of many celeb beauty routines (like, ahem, four-hour manicures), it's always refreshing to chat with an A-lister whose regimen doesn't look too different from our own. 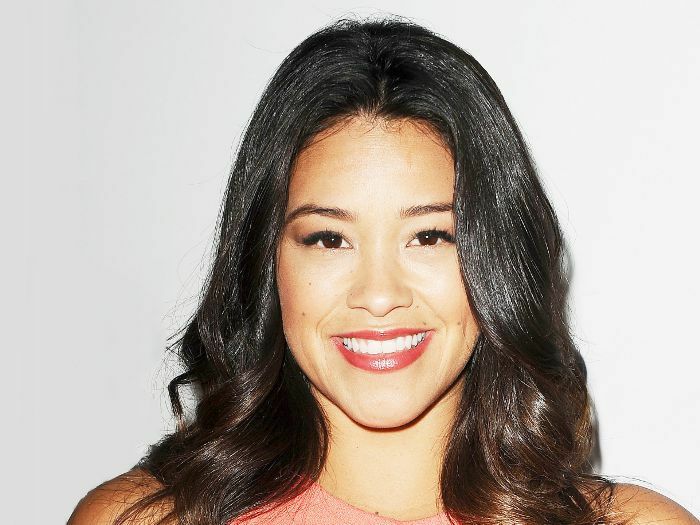 Jane the Virgin star Gina Rodriguez is one of those few—and as it turns out, her very real approach to beauty is just part of her general M.O. Take her partnership with John Frieda, for example, which is about as organic as it gets: The actress only agreed to sign on with the brand because she's sworn by the products since childhood. "It was a staple in our household," she told me over the phone earlier this week. "And I can't pretend that I like a brand. I play pretend very well on screen, but I have to be passionate about a product—to me there is no other way that I can do a collaboration. My father always says, 'If you don't lie about anything, you don't have to remember.' I couldn't agree with him more." And that's just one of the many ways I was struck by Rodriguez's authenticity throughout our conversation. Keep reading to see what else we covered, from her unflinching honesty about Hollywood's unrealistic beauty standards to the $6 product she puts everywhere. It really was the first product I was introduced to as a child. And I didn't start doing my hair until I was in high school, but it was the product that was in my household. When you're younger, you use the products that you siblings use, but I fell in love with it on my own. I still use it today. So for me, it was a very genuine, very authentic collaboration, and it really was full circle. I was like, "Hell yeah, I'm in!" The original serum is the hero product for sure. And it works for any type of hair! My older sister is stunning; she has this huge, beautiful mane of curls, like super-tight afro curls, and it works great on her. My mom has my kind of hair—naturally curly, wavy hair—but it definitely frizzes out. Like, my curls never lay on their own. I'll put some of the Frizz-Ease on when my hair is wet, blow-dry, then put it on again after. Not using a lot of product in the beginning or the end, but using a little bit and splitting it up. 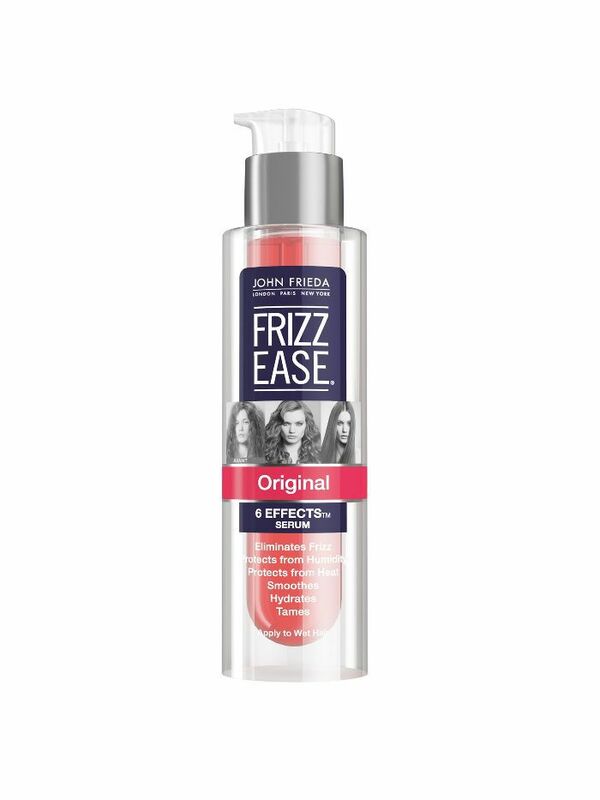 That, for me, has eliminated frizz entirely. For some people, it's better when the hair is already done; some people put it just in the beginning. You know, you really want to learn to work with your hair. There are a lot of products in general that work depending on your hair texture and style, so I would say get a few of them and mess around and figure it out. Switching gears beyond just hair, what's the one product you never leave the house without? 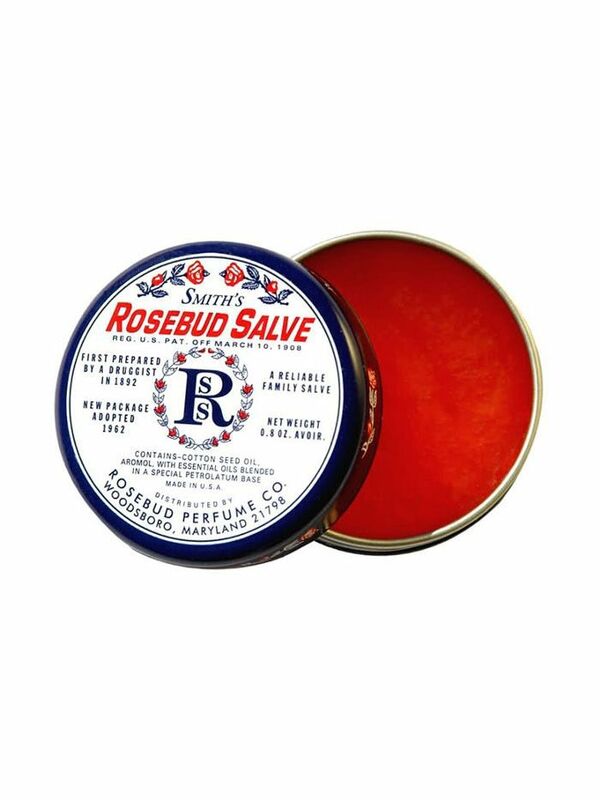 My Rosebud Salve. To me, it's the best lip balm stuff ever. You can also put it on your chapped hands; you can put it on your cheek and it makes it glisten. It's a pretty multitasking little product. I also put it on my ashy knees, and it makes my legs glow. Your routine seems so low-key, but in the industry, there's such a specific and often unattainable definition of beauty. What's your advice for defying the norm and embracing diversity instead? First of all, it's knowing that the "norm" is a trend. Societal rules can be changed, and they can be changed by us. We are the reason why we believe a certain body type is beautiful and other body types aren't, and we're the ones who are capable what beauty looks like. We also have the capability of shutting that down. It's bull, and since it's something we've created, we can also deconstruct it and re-create a more inclusive beauty experience. Everybody deserves to feel beautiful. And to be very honest, beauty definitely comes from within, because I've met people that are super, super stunning, and sadly their character has not been worked on and they are not kind people, and that beauty vanishes very quickly. So just, like, we've created it. You can stop and say, I will not live by that standard. In the same way, we can stop those limitations from not allowing us to live a full life—a life that makes us feel good when we walk out of the door, a life that allows that kind of confidence in who we are and the way we are today.